For those who want to do their PADI, the first step to become a certified diver! The PADI Open Water Diver Course is aimed for people age 10 and up. Take your first steps to become a certified diver. 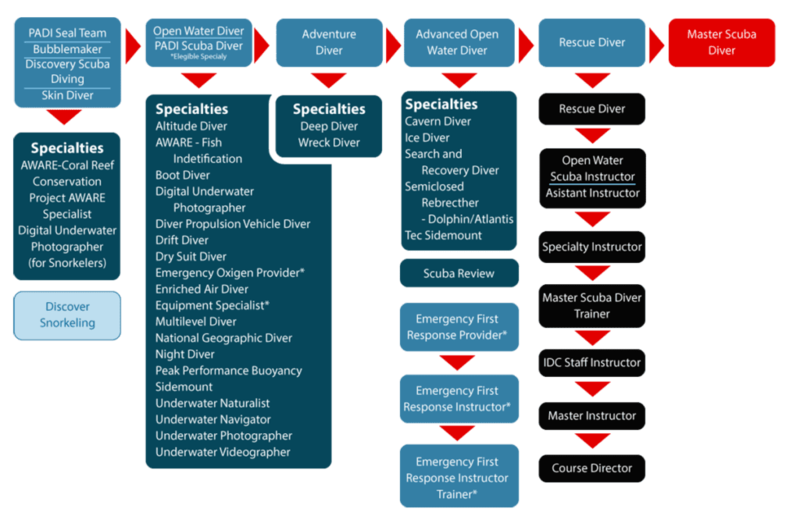 This is a full entry certification that allows you to dive internationally. Your holidays will never be the same! Completion of this course allows you to dive to 18m (12m for juniors) with another certified diver. Schedule: The PADI Open Water Diver course is conducted over 3 or 4 days depending if you fo the eLearning. Day 1 and 2 will start at around 8am and finish around 5pm. Day 3 and 4 will start around 8am and finish around 1pm. instructor. PADI Digital Open Water Manual, PADI Certification, and full equipment rental. Use the PADI eLearning® system to do your dive theory before you arrive in Bali, and save the time on your dive holiday. Sign up for your Lembongan PADI Open Water Diver Coursee today. Soon you will be blowing your first bubbles underwater safely with one of our instructors at Ceningan Divers, PADI 5 Star Dive Resort.